San José (Agenzia Fides) – The fury of Nate tropical storm continues after leaving at least 8 people dead in Costa Rica and another 5,000 displaced as reported by president Luis Guillermo Solis. The National Emergency Commission CNE Mr Ivan Brenes, says some 80 shelters for evacuated people have been opened. The temporary estimated figures in Costa Rica, Nicaragua and Honduras speak of 23 dead and 20 missing. 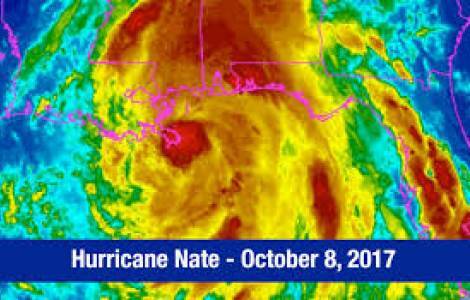 Nate storm blocked roads, destroyed bridges caused damage to hundreds of homes and all three countries have declared a state of emergency. In Costa Rica some 400,000 people are without water and thousands have had to abandon homes. Eleven people were killed trying to escape from the storm and reach Nicaragua. Three more in Honduras drowned in a river. “Two weeks ago the country was hit by a tropical storm, even worse than hurricane Otto in November 2016 which made thousands homeless in Costa Rica” Fides was told by Fr Edwin Aguiluz Milla, executive secretary of Costa Rica Social Pastoral - Caritas. “As often happens, without neglecting daily tasks Caritas has to focus attention on this serious national emergency”, Fr Milla added.